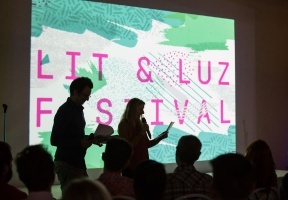 MAKE Literary Production’s Lit & Luz Festival of Language, Literature, and Art is a cultural exchange between writers and visual artists from Mexico and Chicago. The festival runs October 13th-20th and takes place at arts organizations, venues, and universities throughout Chicago, with the finale, a “Live Magazine Show,” presented at the Museum of Contemporary Art. Here, collaborative teams debut their multi-media creations at this celebratory event. 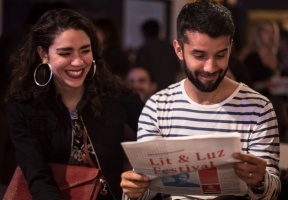 In addition to dynamic readings, conversations, and performances, this year’s festival includes an exhibition of poetry-influenced visual art from Chicago and Mexico City, bilingual writing workshops, as well as lead-in events such as a book club and mural making. The festival kick-offs on October 13th with the opening of the exhibition, So close, far away, a group show at Sector 2337 featuring artists from Chicago and Mexico City, curated by Mia Lopez (Chicago) and Esteban King (Mexico City). This project is supported in large part by the National Endowment for the Arts and the Chicago Community Trust.